There are several factors to consider when it comes to renovating your kitchen. Everyone has different needs and it all depends on the changes you want to make and how much value it will bring you. In addition, the amount of time and the resources you have is a big part of picking the renovation that is right for you. Consider your daily activities. Do you prepare meals at home often? Do you have guests over and need areas for entertainment? 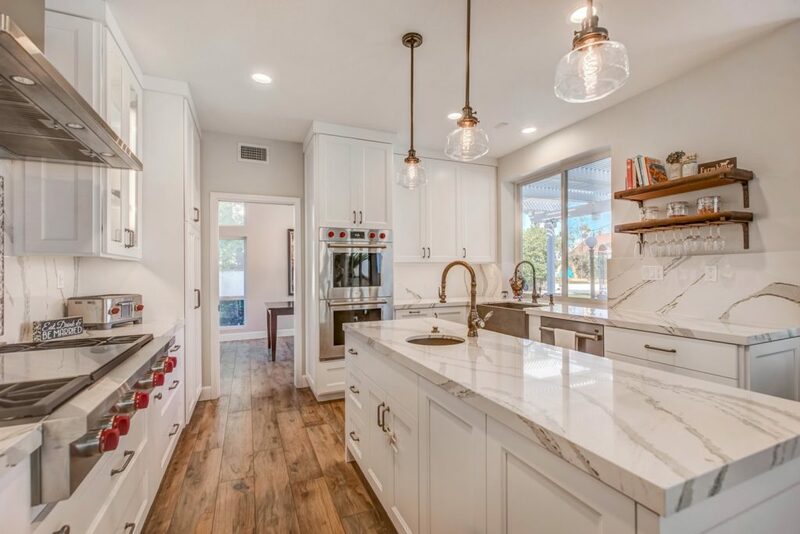 If cooking gives you a sense of sanity during a crazy week, or you have specialized needs in the kitchen for everyday use, then a kitchen renovation could be a great investment. Create a checklist of the different features that you would like to add to your cooking space. Do you want a bigger pantry? Or, perhaps you’d like to add an island. Whatever it is, having a checklist can allow you to better visualize the details of your renovation. Any major renovation will take time, so it’s important to be realistic with your completion date. Consider your budget and how that can affect the timeline of the renovation. When making a large financial investment, go slowly, take the time to find the right people and weigh your decisions out carefully. The next time you think about remodeling your kitchen, ask yourself these three questions outlined. Doing so can help you prioritize and visualize your dream kitchen renovation. Whether you’re looking to change your backsplash or create a completely new look, Progressive Builders is committed to helping you every step of the way. Contact us today to schedule a consultation.